A practical approach to developing and operating an effective programme to manage hybrid records within an organization. This title positions records management as an integral business function linked to the organization's business aims and objectives. 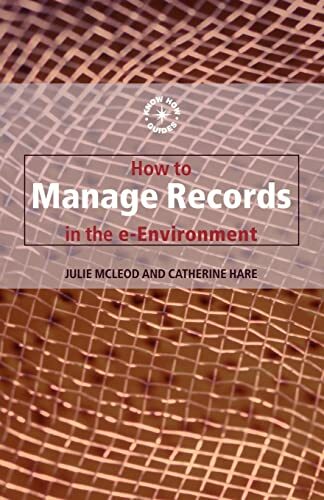 The authors also address the records requirements of new and significant pieces of legislation, such as data protection and freedom of information, as well as exploring strategies for managing electronic records. Bullet points, checklists and examples assist the reader throughout, making this a one-stop resource for information in this area.